Today is a blueberry day. NOT a leftover mac ‘n cheese day. Big sister disagrees. Pushing her bowl of blueberries disdainfully to the side. The boy eyes them from across the table. “Look! Ketchup on noodles!” I say, in my best infomercial voice. I grin widely, flourishing his toddler-sized fork… demonstration bite. A lesser woman would have spit the lukewarm, congealed horror onto the floor immediately. I maintain the smile, tactfully depositing it into my napkin. 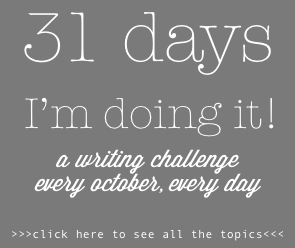 For Word Press Weekly Writing Challenge: Lunch Posts – simple, short, descriptive. So here’s us, at lunchtime. 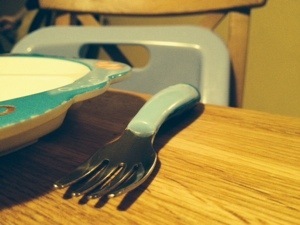 This entry was posted on Wednesday, January 22nd, 2014 at 8:01 pm	and tagged with DPChallenge, feeding preschoolers, lunch time, parenting and posted in parenting. You can follow any responses to this entry through the RSS 2.0 feed. So Here's Us.... life on the raggedy edge. Thanks! I enjoyed yours too!